When I got home from work to see a box with the name Zoeva written on it, I couldn't even contain my excitement. 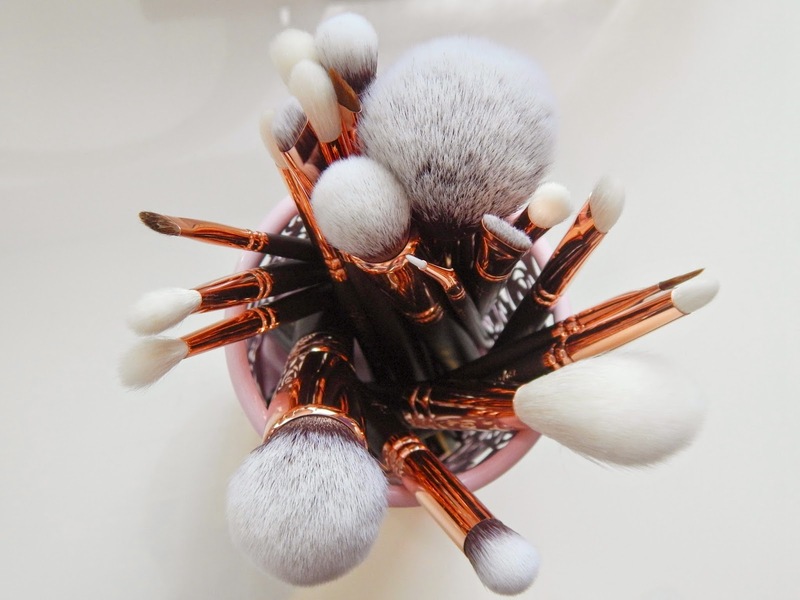 After a lot of deliberation I decided that I was going to treat myself to some of these brushes, and there was no question that I was going to order the rose gold editions (I'm obsessed okay?). When I opened the box the brushes were packaged really securely and each brush was wrapped individually too. 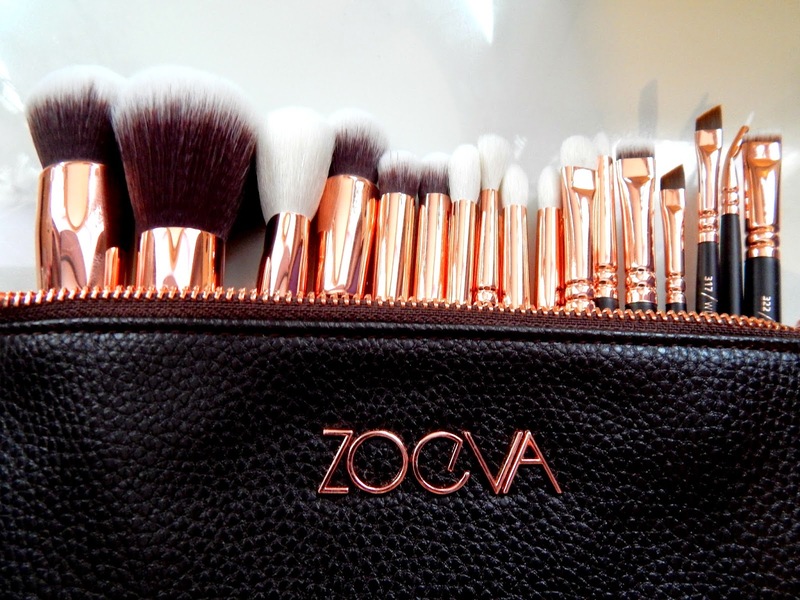 Both of the brush sets I ordered came in lovely pouches with rose gold details; they are really good quality and I will definitely be using them as makeup bags or to store my brushes when travelling. The majority of the brushes came with plastic bristle protectors which would also be perfect to use when they're in bags so they don't get damaged or transfer product everywhere. 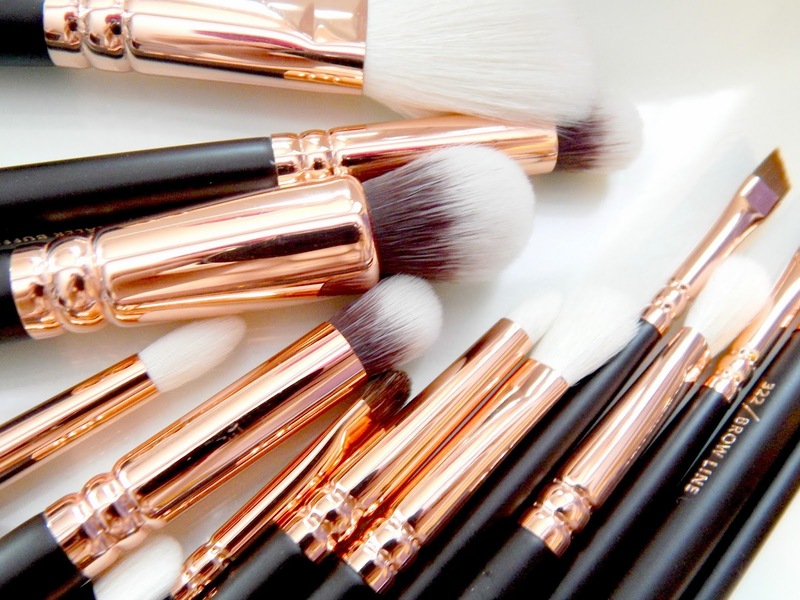 From first impressions, the brushes are really soft and look beautiful! They look so gorgeous on my dressing table. The brushes are quite light, but equally feel solid. I was very impressed with the vast range of eye brushes that came in this kit, I literally could not think of any more eye brushes that I could need! This is obviously my first impressions, so I will let you know a lot more about these brushes when I've had more of a play with them! I'm particularly interested to see how these will compare to my Real Technique brushes that I have been using and loving for a while. 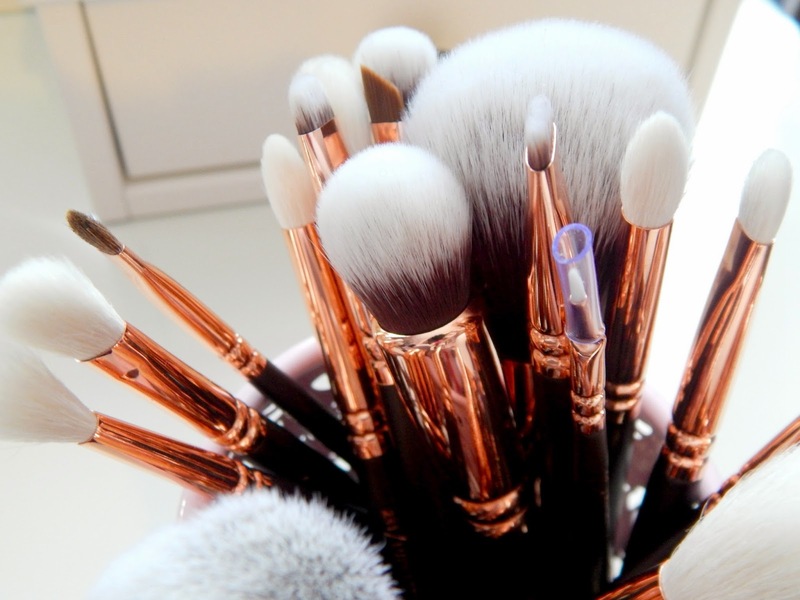 If you're wanting to purchase these brushes from the UK, you do have to have a paypal account as this is the only method of payment available - this is a little inconvenient but paypal accounts are very quick and easy to set up if you do not have one and are the most secure way of paying. I am totally obsessed with anything rose gold so I feel you!! I will deff be keeping my eye out on these brushes, for first impressions they sounds great!! i love ur brush holder! so pretty!! 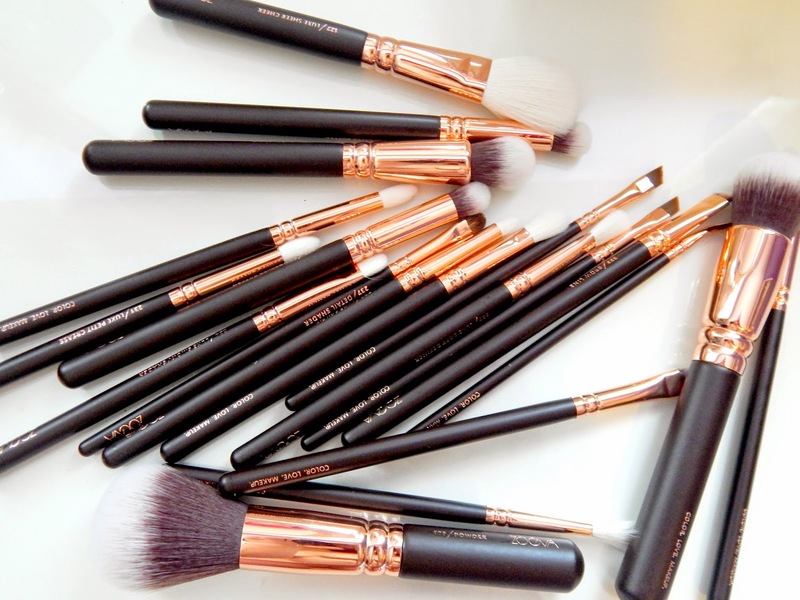 these look like nice brushes!! Oh My Word I need them. I have been thinking about these brushes for a while but I have so many brushes I don't know if I need any more. These look sooo beautiful and I need them!